Sara Kamalvand (Tehran, 1975) is an architect working at the intersections of art, architecture and urbanism. 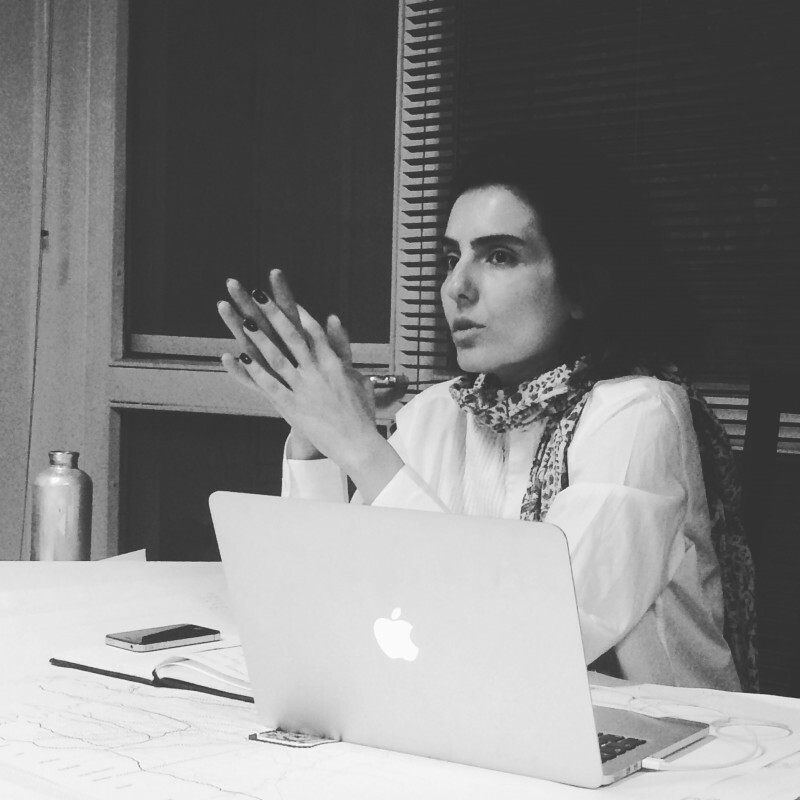 She founded HydroCity in 2012 to pursue research projects on Iran’s derelict and ancient water irrigation network for which she has produced workshops, talks, exhibitions, drawings, and texts. Her work questions the reorientation of urban protocols and alternative scenarios around infrastructure, resources, and public space. In 2018, she was selected for the Manifesta12 5x5x5 programme. Sara has been guest professor in the master studio Nature and City at the Versailles School of Landscape Architecture and visiting professor at École Spéciale d’Architecture in Paris. She is part of the Tehran based art collective BonGah aswell as pursuing an independant design practice.